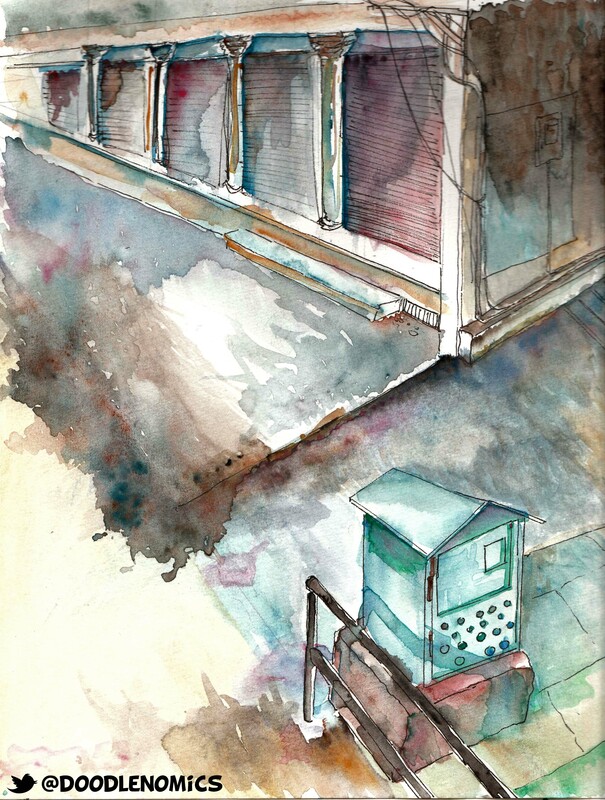 Sketch of the day- Jaipur – Oh, I see! M.I.Road is one of my most favorite places here in Jaipur. Streets lined with shops selling clothes, jewelry, kebabs, dry fruits, shoes and whatnot! I often go there, sit for a while and sketch. It’s a very busy area so you either have to go early in the morning when most shops are closed or on holidays if you’re interested in sketching. Previous Post New Year Resolution. Wonderful – look forward to another scene from Jaipur! Thanks! 🙂 Have you been to Jaipur earlier?